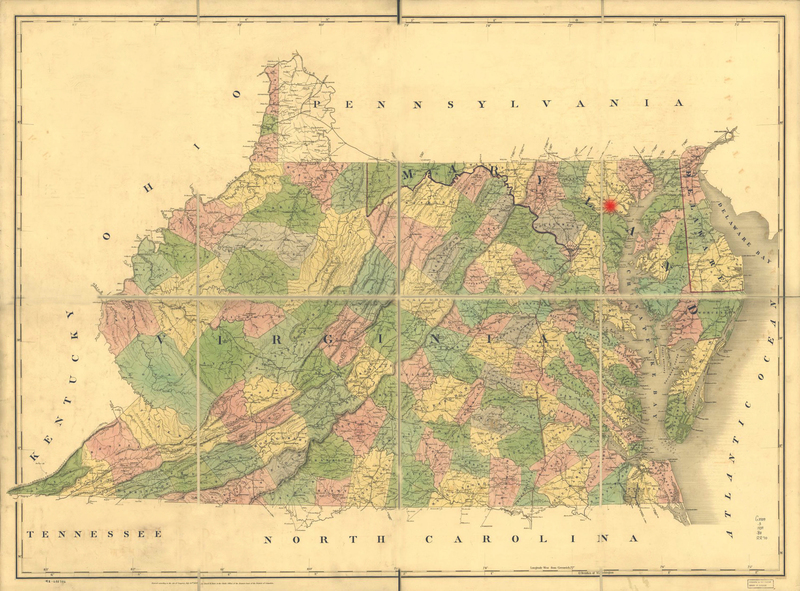 Elegant floral chintzes arranged on a white ground are particularly favored from Maryland down through the Carolinas. At least thirteen very similar counterpanes attributed to Achsah Wilkins survive. Recent research suggests that her mother (Milcah Dorsey Goodwin), sister (Milcah Goodwin Dorsey), or both, may have made, or assisted with, some of them. Family history records that Wilkins suffered from a skin disease that prevented her from sewing, and that she supervised several African-American women who did the stitching after Achsah designed the layouts. Achsah most likely bought her chintzes from her father, William Goodwin, who imported the latest luxury goods for his dry goods store. 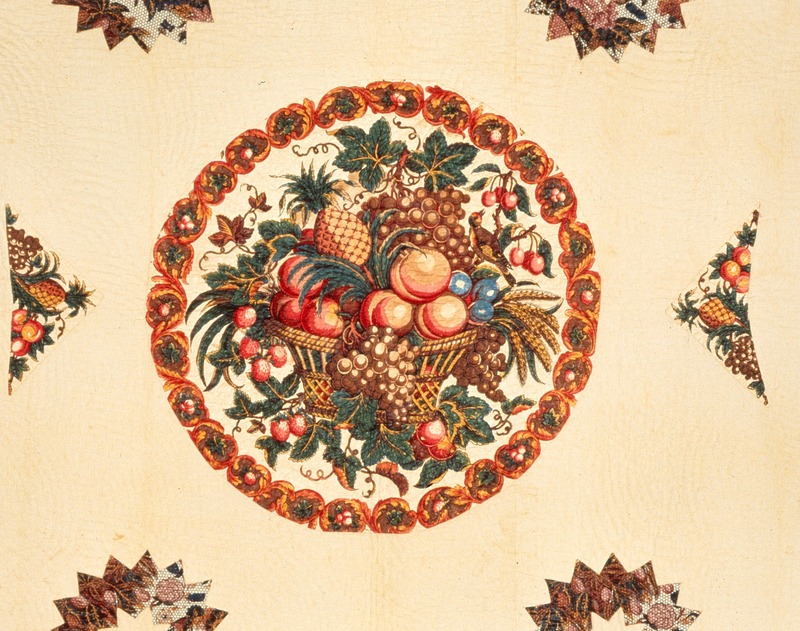 Many quilts of this period use the same center basket panel,especially in the Carolinas. Achsah used this basket in seven of her counterpanes, four with matching borders. The medallion and border set would have been especially lavish and costly. The DAR Museum owns two South Carolina quilts with center medallions identical to the one Achsah used, but with more colors used in the printing process. DAR Museum 83.33, detail, gift of Louise Mosely Heaton.